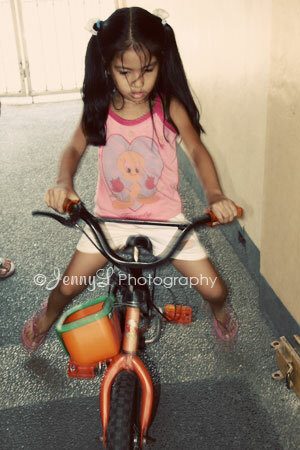 Reign trying to learn how to ride a bike last Monday. 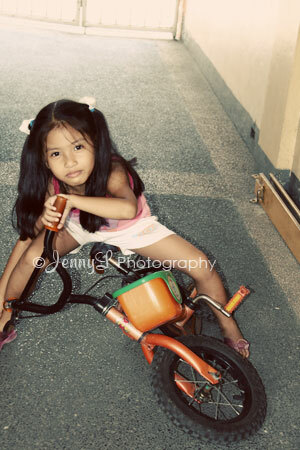 She asked her dad to bring out the bike from the storage room and look she is trying to drive it without any help but oopsies she fell. We told her that it was ok to fall bec. that is where she'll learn. I remember when I about 7 or so when I learned how to ride a bike and good thing is that once we learn it we'll never forget how to do it eventhough we seldom ride a bike.